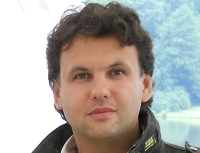 On 28 June, the criminal division of the Supreme Court of Karelia is to review the cassation appeal brought by lawyers acting for the blogger Maksim Efimov, chair of the region’s Youth Human Rights Group, against a ruling by Petrozavodsk city court that he should be forcibly placed in a psychiatric clinic for an examination for authorship of a blog entitled ‘Karelia is tired of priests’. The court hearing will begin at 10:00, according to Ramil Akhmetgaliev, one of Efimov’s legal representatives and a lawyer from Agora Human Rights Association. Ramil Akhmetgaliev pointed out that a thorough psychiatric examination of this kind is possible only in certain strictly defined circumstances: responsibility for one’s actions; psychological disorders that do not limit responsibility; and the determination of the presence or absence of paedophilia. The outpatient examination of Maksim Efimov had concluded that it was necessary to place him in a psychiatric hospital on the grounds of ‘the degree of personality deviations.’ At the same time the experts themselves asserted that Efimov did not suffer from any psychological pathologies, a correspondent for the Open News Agency reports. A desire to determine personality traits cannot be the basis for a psychiatric examination, the lawyer Akhmetgaliev stressed. Efimov’s defence lawyers Ramil Akhmetgaliev and Olga Rybalova argue that there were no grounds for the decision to conduct an examination in a psychiatric hospital on the basis of the conclusions of invited specialists. Professor Vladimir Mendelevich, a highly-qualified psychiatrist with 32 years’ experience and a clinical psychologist for 14 years, who heads the department of medicine and general psychology of Kazan State Medical University, said: “It is not possible to recognize as well-argued, well-grounded or convincing, whether in terms of the difference between the conclusions and the arguments employed by the experts, or whether in terms of the recommendation to conduct a renewed psychiatric examination of Efimov as an in-patient.” Similar conclusions were reached by retired Colonel Vladimir Rubashny, ex-head of the psychological service of the Tatarstan Penitentiary Service and a psychologist with 18 years’ experience, and Dr Viktor Gursky, a psychiatrist , narcotics expert and psychotherapist at Nizhny Novgorod Clinical Psychiatric Hospital No. 11 with 28 years’ experience (19 years’ experience as a psychotherapist. “On the one hand experts had not found any psychiatric disorders, and, on the other, they had not found any personality disorders that went beyond individual psychological and personality traits. In other words on the basis of the examination he should have been found to be psychiatrically healthy, and this should have been written into the conclusion,” Professor Mendelevich stressed in his written comments on the case. So far as the consequences of these conclusions for the blogger and human rights activist Maksim Efimov are concerned, all three experts also agreed that they could have an extremely negative impact. Maksim Efimov has been charged with “inciting enmity or hatred, and also abasing the dignity of a group of persons belonging to a religion” (Article 282, Section 1, Criminal Code of the Russian Federation) for publishing in his blog a piece entitled ‘Karelia is tired of priests’.